Ridley. Ridley is a Subspace Emissary boss and he reappears as Meta Ridley. Wallpaper and background images in the Super Smash Bros. Brawl club tagged: super smash bros. brawl subspace emissary boss metroid ridley. 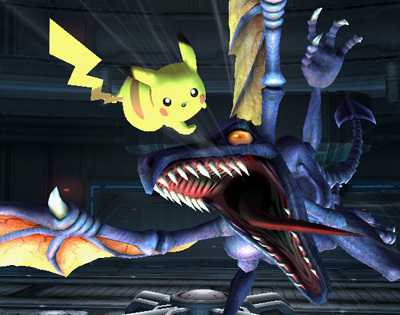 This Super Smash Bros. Brawl photo contains triceratops.